The battle over health insurance for children reached a crescendo this week as both houses of Congress passed their own, very different, bills. Both go far beyond reauthorizing the 10-year-old SCHIP program, and together load onto the back of this one bill major changes to the Medicare Advantage program, to physician payment schedules, to the prescription drug benefit, expansions and changes to Medicaid, significant new taxes, and a broad expansion of taxpayer-supported health coverage well into the middle class. Major policy decisions are being made here that are far beyond the original purpose of the legislation to cover children in families that make too much to qualify for Medicaid and not enough to afford private coverage. But this is only the first round: President Bush has said forcefully that he will veto either version of the bill that reaches his desk, and for good reason. Conferees will try to cobble together a compromise — no mean feat in itself — and will come back for more votes before the Sept. 30 expiration date of the program. The question isn’t whether children should or should not have health insurance. The question is how do we achieve that goal. We sponsored a Capitol Hill briefing and news conference yesterday morning to give our colleagues in the policy community an opportunity to offer their insights and analyses on the SCHIP proposals, and Rep. John Shadegg made a surprise but very welcome visit. He said that the bill that passed the House by a 225-204 vote on Wednesday night was ?written and passed in just eight days? and that few people in Congress, much less in the country, understand what is in it. He argues that it contains ?the most sweeping changes in decades? to our health care system and that ?the changes will affect every American.? A champion of free-market choices, he argued that the SCHIP debate is really about whether we will have a government-funded and therefore government-run health care system in America or a new, invigorated private market with more competition, more affordable choices, and more rational subsidies for people and families to obtain their own coverage. Steve Entin of IRET won the award for turning around an analysis of this week’s legislation in record time, and summarized his new paper. Even with their huge price tags, the bills are still underfunded because of budget gimmicks. The bill crowds-out private insurance and ?would shift the cost of the insurance from private wallets to the public purse.? This program for the poor is funded by a tobacco tax that disproportionately affects lower-income people. And it creates a new tax on health insurance, ?an odd way to hold down the cost of insurance.? Bob Helms of AEI echoed Rep. Shadegg’s statement, saying that the incredibly generous ($242 billion this year) hidden tax expenditures for job-based health insurance ?take away the incentives for people to seek cost-effective insurance. We will not be able to have more affordable health insurance without addressing this fundamental issue.? He also said that the funding formulas for both SCHIP and Medicaid offer huge incentives for states to expand taxpayer-supported coverage. Under the provisions of this bill, states could put every child on SCHIP if they are willing to pay the matching rate. Len Nichols of the New America Foundation said he came to say that ?SCHIP is not single-payer in drag.? He argued that 70% of kids on SCHIP are in private plans that the states have set up, that states have the option to expand coverage but aren’t forced to do it, that the focus is on covering poor kids first, and that the Senate bill is better than the House bill, partly because parents can use the SCHIP money to buy private insurance. Michael Tanner of Cato said ?Let’s be clear. SCHIP is a welfare program. How far up the middle class do we want welfare to go?? He argued that the bills are fiscally irresponsible and would carry us ?down the road to government-run health care. Make no mistake: government funding inevitably leads to government regulation, and health care will become a public utility.? And Jim Frogue of the Center for Health Transformation said that we need a new slogan for the cigarette tax, a main funding source for SCHIP expansion: ?Smoke for the Kids.? He complained that the net new cost of covering an additional uninsured child is far too high and is unnecessarily crowding out private coverage. We are just trying to get past the rhetoric that you will surely be hearing a lot more about during the August recess. The Liberty Fund conference that I attended last week in Sierre, Switzerland, was extraordinary — an immersion in the epic struggles between freedom and security. Several of the participants had lived behind the Iron Curtain in Eastern Europe and are now university professors and heads of think tanks. They are passionate about the dangers of state control over people and economies and about the dangers of the ever-encroaching welfare state. Many thanks to the Liberty Fund for sponsoring conferences like this throughout the world to advance the conversation about freedom and liberty, and to our friend Alphonse Crespo, a Geneva physician who organized this conference and who spoke at a conference we hosted in Washington last fall. You remember his quote: “Citizens always wind up paying for health care, either through taxes, insurance premiums, or out-of-pocket costs. So we all have a single-payer system — and we are the payers. The real question is whether they have single-decider systems?in which governments and their agents control our decisions.? And finally for another booster shot in the battle for liberty, radio commentator Mark Levin aired this week a commentary by former President Reagan on the dangers of socialized medicine — a commentary recorded in 1961 but which is just as relevant today as then. Go to marklevinshow.com. It is as though we have President Reagan guiding our work today against the incursion of government into our ?God given right to determine our own destiny.? Steve Entin of the Institute for Research on the Economics of Taxation on ?SCHIP Reauthorization: Renew or Expand?? The Heritage Foundation has produced papers almost every day about SCHIP. Paul Howard of the Manhattan Institute on National Review Online. NCPA’s brief analysis on SCHIP expansion and John Goodman’s Wall Street Journal op-ed. Senator Tom Coburn and Harvard Professor Regina Herzlinger on ?Individual Freedom vs. Government Control? on National Review Online. Former House speaker Newt Gingrich and David Merritt of the Center for Health Transformation discuss the hidden tax increase in the House bill. The Health Policy Consensus Group’s policy document outlining steps for the best way to provide health insurance coverage for children and families. ?Recommendations for Reauthorization of the SCHIP program: Cover Kids First,? by Grace-Marie Turner of the Galen Institute and her Wall Street Journal article on the issue. The Food and Drug Administration Revitalization Act, currently moving its way through Congress, contains provisions that could impede getting new drugs and devices to patients, writes Grace-Marie Turner of the Galen Institute. For example, the legislation would require doctors to follow a checklist when prescribing certain drugs and, if passed into law, ?doctors would be in constant fear of lawsuits, making new drugs harder for patients to get,? writes Turner. The legislation will also inevitably drive up costs by requiring doctors, drug companies, and the FDA ?to continue to produce mountains of paperwork, even after a drug is approved.? Finally, the bill ?would allow private firms to import prescription drugs from other countries to take advantage of their systems of price controls? [which] is an open invitation for contamination of our drug supply,? concludes Turner. ?Unless the legislation is stripped of these provisions, it will make drugs less safe and more expensive.? Legislation that would allow the importation of prescription drugs from abroad ?would actually expose Americans to grave health risks,? writes Joel White, Galen Institute senior fellow. ?As the Food and Drug Administration has declared time and again, it simply can’t guarantee the safety of imported drugs?the agency doesn’t even have the ability to thoroughly vet drug imports at their current levels,? writes White. For example, on a typical day, only 500 to 700 of the roughly 40,000 packages suspected of containing drugs are inspected at the JFK International Airport mail facility. And while the volume of imported drugs has more than tripled over the past several years, the number of drug inspectors has grown by just 10 percent, further widening the gap between drug imports and inspectors. ?On every front, the health risks posed by drug importation are substantial,? concludes White. Instead of trying to legalize drug importation, Congress should clamp down on the unsafe imports already making their way here. Drug counterfeiting is a major public health hazard, with the latest evidence from Canada where British Columbia resident Marcia Bergeron became ?the first person known to die as a result of ingesting counterfeit meds,? reports the National Review of Medicine. The drugs purchased by Ms. Bergeron ?were manufactured poorly and contained impure ‘filler’ materials?the filler was likely contaminated by dangerous metals during production in Southeast Asia and sold by a website based in Eastern Europe, possibly the Czech Republic.? The toxicology report showed ?dangerously high levels of metals?the level of aluminum alone was 15 times higher than what’s considered normal.? Health technology assessments (HTA), which compare clinical performance and cost-effectiveness to evaluate medical treatments, ?have had a clear impact on policymakers in Europe?concerning the adoption and distribution of health technologies in their healthcare systems,? according to a cross-national study of HTA from the Stockholm Network, a pan-European think tank. ?The nature of nationalized health services in Europe has meant that most countries in Europe have established HTA programmes linked to and supported by the national government?The government’s monopoly over the uptake and diffusion of healthcare-related technologies allows it to ration medicine and treatments directly, either by price, by omission or by long waiting lists,? finds the study. ?The result is that?HTA is in fact used to restrict access to essential medicines and health technologies.? By contrast, HTA bodies in the United States, such as the Agency for Healthcare Research and Quality, focus instead on the ?expansion of sophisticated healthcare-related technologies in the market?to ensure the efficient transformation of research into practice.? HTA ?holds within itself the possible cause of its eventual demise by stifling innovation and causing long-term harm,? concludes the study. Europe and Canada ?must face up to the necessity of moving away from healthcare models dominated by government funding in order to deliver to consumers the choice and empowerment they want out of their healthcare systems.? Harvard Professor and Manhattan Institute senior fellow Regina Herzlinger writes that the American Medical Association is serving as a poor advocate for the nation’s physicians, who are increasingly losing their income and autonomy. ?You might expect that the AMA would fight the insurers, hospitals, government bureaucrats and ivory tower academics who have diminished physicians’ incomes, besmirched their ethical reputations and compromised their professionalism — but you would be wrong,? writes Herzlinger. Instead, the AMA has chosen to fight against retail medical clinics, which provide convenient and affordable health care. ?Unfortunately, while the AMA engages in trivial turf warfare, physicians are increasingly forced to become salaried employees of hospitals and insurers and are constrained by recipes for the practice of medicine that are cooked up by government and insurance company bureaucrats,? concludes Herzlinger. ?We and doctors deserve better advocates.? Professor Herzlinger discusses her application of market principles and consumer focus to health care in a conversation with Bob Galvin of the General Electric Corporation and Yale University School of Medicine. Topics include the role of the consumer, focused factories, and the future of insurers. Canadian physician David Gratzer of the Manhattan Institute says single-payer systems in Canada and Europe are increasingly looking at market solutions to confront the problems of ?dirty hospitals, long waiting lists and substandard treatment.? For example, many Canadians are turning to private-sector medical brokers that ?set up surgical procedures, diagnostic tests and specialist consultations, privately and quickly.? Europe is also embracing this privatization trend, writes Gratzer. ?Sweden’s government, after the latest round of privatizations, will be contracting out some 80% of Stockholm’s primary care and 40% of its total health services,? he writes. ?America is right to seek a model for delivering good health care at good prices, but we should be looking not to Canada, but close to home,? concludes Gratzer. ?From telecommunications to retail, deregulation and market competition have driven prices down and quality and production up. Health care is long overdue for the same prescription.? 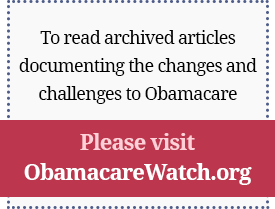 The Washington Times reports that ?the beginning stages of change toward free-market health insurance? are being seen in Canada. ?There are approximately 23 private surgical centers offering medical services nationally, as well as 17 cataract clinics,? writes the Times. ?But despite a groundswell for more privatization in Canada, it remains illegal under federal law to pay for health care that is deemed medically necessary by a provincial government,? writes the paper. Dr. Jacques Chaoulli successfully challenged Quebec’s ban on private health insurance coverage, but ?a major privatization wave won’t occur until each of the 10 provincial governments and three territories moves to align its legislation with the Chaoulli decision and insurance companies step into the arena with new products.? For additional details and registration information, go to: secure.354design.net/healthforum/home.php. For additional details and registration information, go to: www.urac.org/bestpractices www.urac.org.